Everybody can play the Jew's harp. 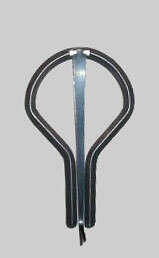 If you want to order our Jew's Harps call us, email us or write us a letter. Jew's harp is an idiophone, a metalic music instrument, that has been used in region of Slovakia since 12th century, which is an archeologicaly proven fact. 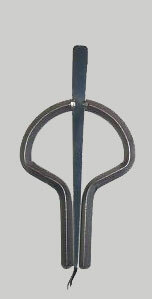 It was the 19th century, mostly in the region of north-western Slovakia, when jew's harp became particulary popular. 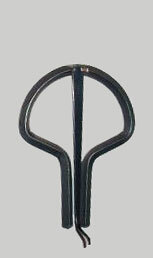 It's composed of a metalic frame with half-arc, elliptic or pear-like shape and diameter of 4-6 cm. 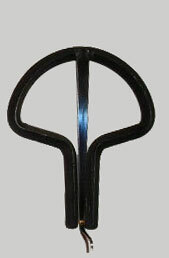 A flexible tongue, 5-7 cm long, is attached to the frame. The player places his lips to the frame, places the frame against his teeth and plucks the harp's tongue to produce a tone. The pitch of the tone is regulated by changing the shape of the player's mouth and the amount of air contained in it. The Jew's harp is a one of the oldest musical instruments in the world. 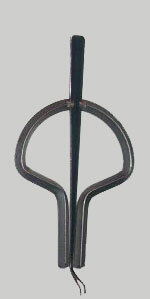 Originally called a trump or gewgaw, in different cultures it is known as the jaw harp, khomuz, kubyz, mungiga, drumbla or vargan among other names. Peter Sobota produced and sold more than 15000 jew's harps. There are some famous artists among his customer ranks. © Peter Sobota 2004 - 2019. All rights reserved.